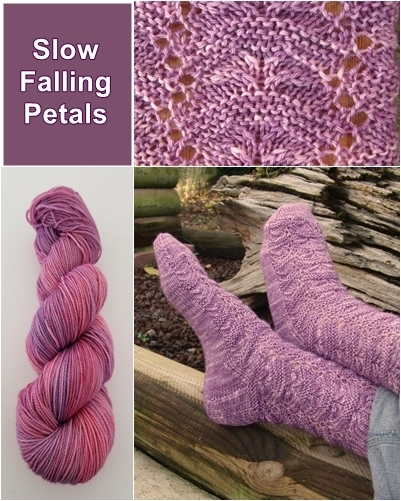 Yola's Socks: Slow Falling Petals - monemades Webseite! She named the pattern 'Falling Petals' and ever since I had planned to write it up and publish it, but... there are only so many hours in a day... so it took me until this year to finally get round to it. 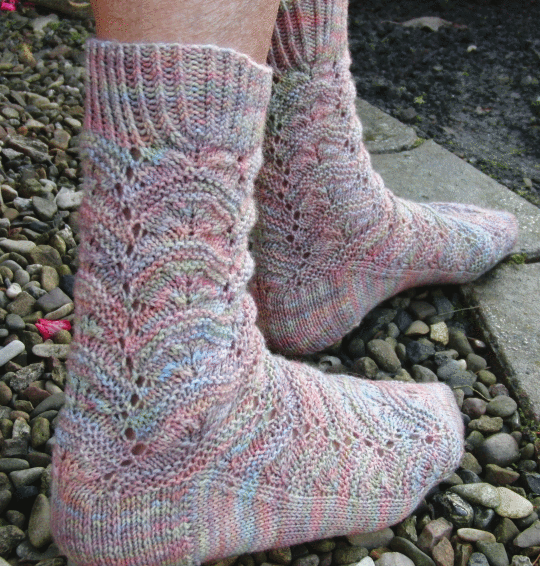 By now the name Yola had suggested, got used for a pair of socks by another designer, so her pattern now is called Slow Falling Petals. The 'slow' being my addition, because I was so lame with getting this out. I really think the pattern works well with all kinds of yarn, don't you think? 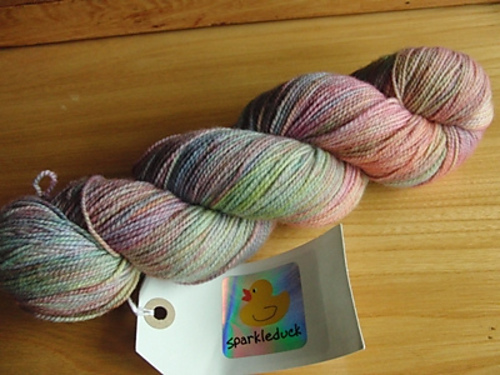 My friend Laurel dyed up a semi-solid yarn to go with this pattern which you can find in her shop on Etsy, here: SpinningFates, but the self-striping one in the picture above is one of her yarns too. 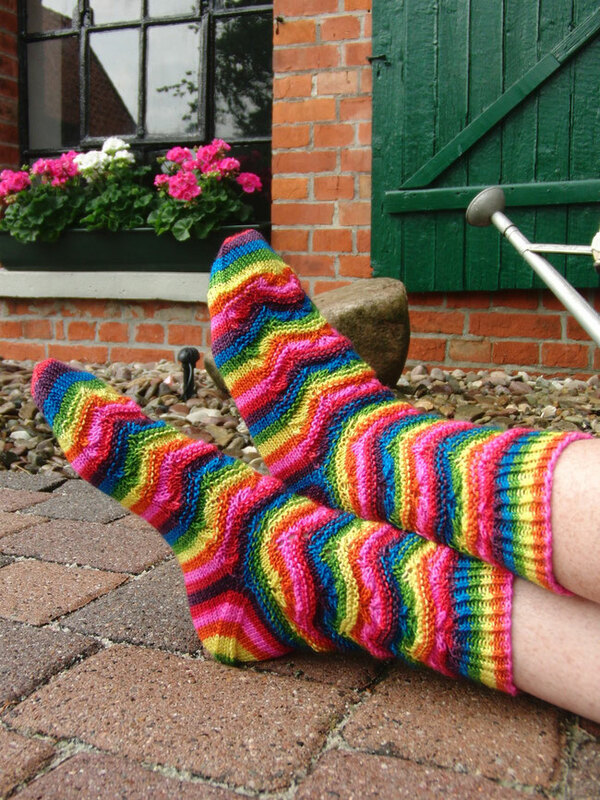 Love the terrific colourways she comes up with!